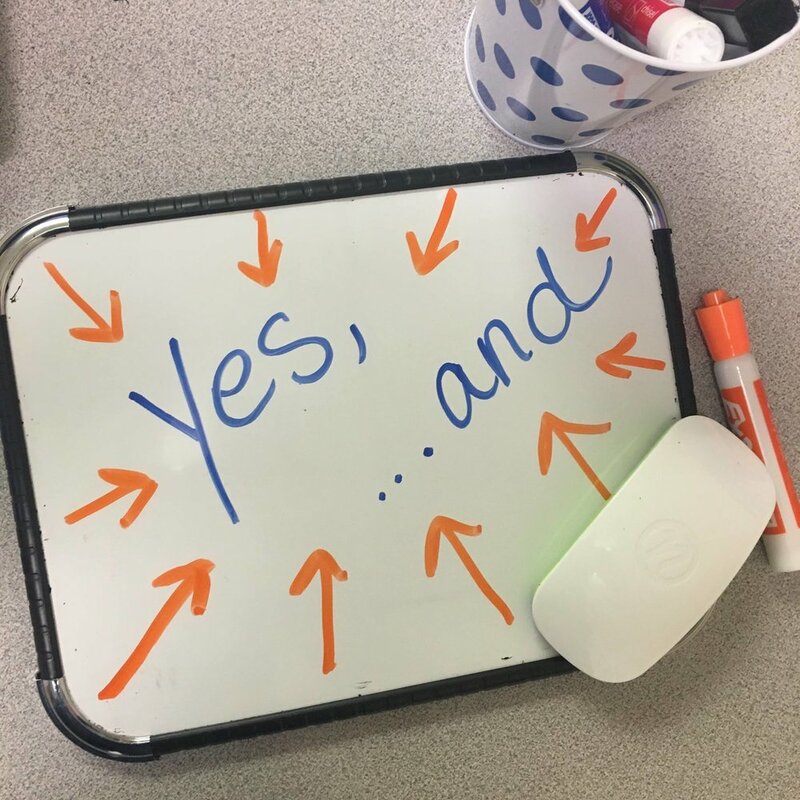 The Most Powerful Words: "YES, AND..."
How can you make a small change in your language that will start you on the path to a calmer reading/math/homework time with your child (and away from of the frustrated outbursts)? Kids that struggle with reading are hearing a lot of "no," "that's not right" and verbal/non-verbal prompts of negative feedback. They might even start to get sensitive, get frustrated or act out when they are corrected. ...All of these negative responses chip away at their confidence at something that is already a source of frustration for them. ---->"YES, that does start with a p sound - AND what comes after it?" ---->"YES, there is a long word there AND let's do that one together"
---->"YES, you found a tricky word AND any idea what it might be if you try to sound it out?" ---->"YES, I heard you say the 'oo' sound in that word, AND do you see any other sounds you know?" It might feel a little funny at first as you are responding to an error with a YES and having to shift your language. You may even need to get creative on what you can praise them for. This tiny shift to "YES AND" is confidence building, relationship building, pressure reducing and will feel much better to your child. It's so fun when I get to be a part of a kid's life over the years and see them grow into adults. I've worked with this individual on and off since he was 6 - and now he is 21! I've seen him go from running away from sounding out a word to reading a novel. I've seen him go from throwing a pencil in frustration to taking deep breaths as he conquers writing an essay. It's about breaking things down into bitesize steps, taking a deep breath, having some fun and learning that you can get through anything. At Creative Learning Solutions, we work on building the skills needed for getting words off the page and/or visualizing and understanding what you've read. But sometimes, something else is needed too - and parents don't always know to look for it. Look for kids that might fatigue with reading longer texts, might cover up or close one eye while reading, or work really hard to avoid reading tasks. They may have 20/20 vision, but their eyes may not be moving and working together properly. If you think this may be what is going on, getting a vision therapy assessment can be a gamechanger. I've read with some kids before and after their vision therapy, and it made a huge difference for them. It's different than seeing an optometrist. A vision therapist will check in to see how your child's eyes and brain are working together and if their eye movements (like tracking left to right or up and down on a page) are flowing with ease or not. If you want to learn more, do a search for "vision therapy" or find a vision therapy center in your area. 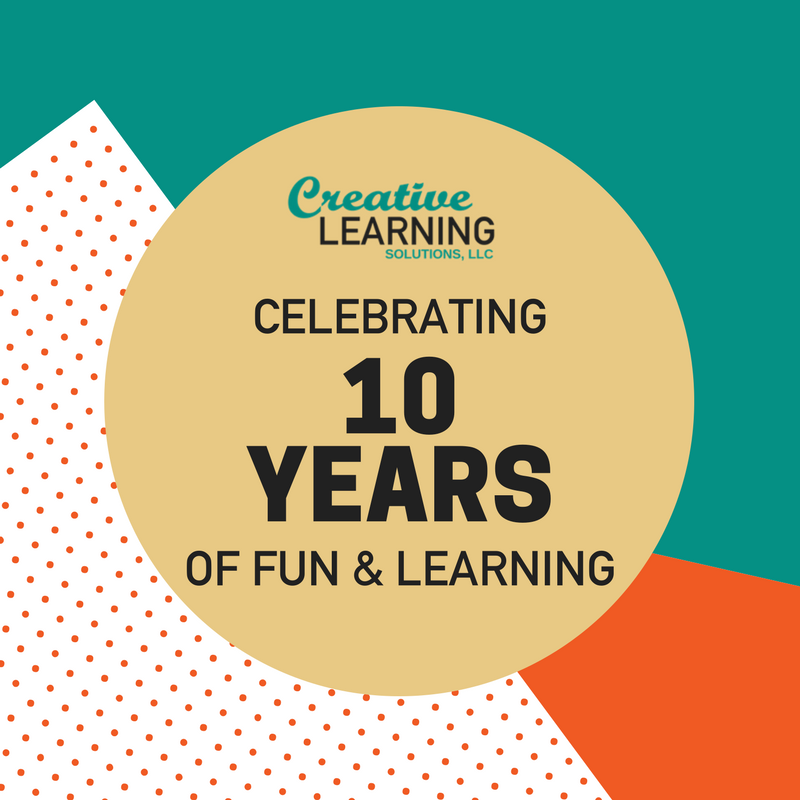 June marks 10 years since Creative Learning Solutions opened its doors! A big thank you goes out to all the kids and families over the years - I am so happy that I get to play and teach every day. You can take anything that peaks a kids excitement - and make it a bridge to learning. It turns out a new student is a big fan of overhead projectors. You remember.... the old technological marvel that was used endlessly in classrooms everywhere! He was a bit disappointed to see I didn't have one, but we bonded over Youtube videos of this lost technology and being silly. And now we have made our own version of an overhead projector with some old transparencies and an iPhone flashlight - all while honing our comprehension skills by describing illustrations that can be blown up as big as the wall! "What did you do this weekend?" ...Nothing. Sometimes I do it too. And sometimes we forget that changing what we ask, how we ask it, and setting an expectation of participation can make a huge difference in what we hear back. With some kids that hold tightly to those "nothing" or "I don't know" answers, I change the question to "tell me one thing" you did that day, that weekend or on that vacation. I show that I expect and will wait for a response. I tell them it could be any one thing - interesting or boring: something they ate, a tv show they watched or that they stubbed their toe. Asking for that one piece of information, whether or not they originally thought it was interesting enough to share, opens up the conversation. It sets an expectation that you want to hear about their experiences. It starts to give them examples of things they might start to share next time without you even asking. For as long as I've practiced this with kids, I found myself on the flipside recently. My husband started asking me what a highlight from my day was. Or he would ask me about what was most frustrating or what was the best moment. One evening as I paused to think of my answer, he said, "I just want to learn more about your day." Touché. I was on the other side. There were parts of my day that I had left where they were, and I just hadn't thought to share them with him. Until I was reminded that he wanted to know. Before long, we were sharing a lot more about our days without even thinking about it. A different approach = Success! When I started working with this adult with autism this semester, I had no idea that it was his third try at taking the non-credit math class that I was helping him with. I'm so happy to hear that he passed and will be moving on to taking a course in the fall for college credit! Way to go! He did all the work. I helped him to get a better feel for what he knew, what he didn't know, and how his brain works to solve math concepts (as we all make sense of math a little differently). I helped him find and organize the strategies that worked for him and break them down into steps. The smile I saw today said it all. Congrats to him!